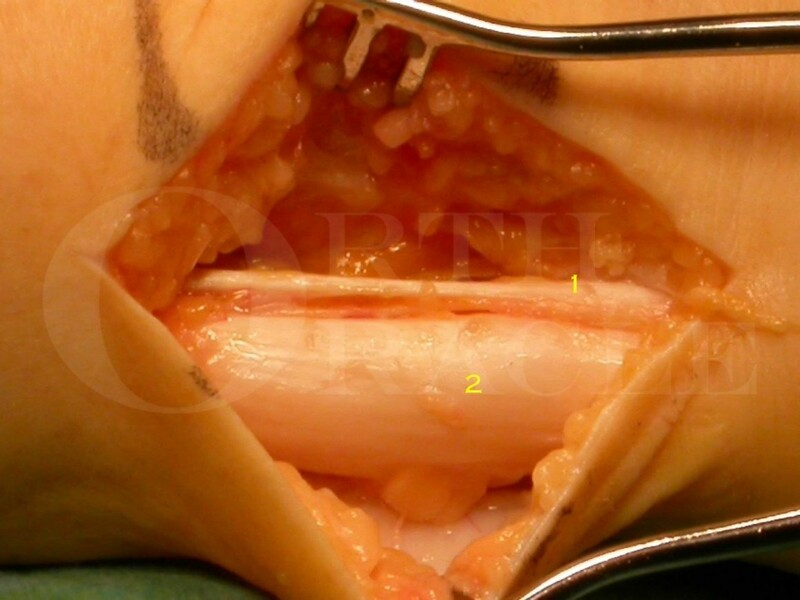 Learn the Achilles tendon minimally invasive debridement surgical technique with step by step instructions on OrthOracle. Our e-learning platform contains high resolution images and a certified CME of the Achilles tendon minimally invasive debridement surgical procedure. The indication for an Achilles tendon debridement is painful Achilles tendinosis which has failed to respond to conservative managements. These conservative managements including tried and tested physiotherapy regimens, orthotic off loading and injection therapies can be expected to work in 70% of patients , irrespective of the extent (and often nature) of the Achilles involvement. Shockwave therapy also may have a role in conservative management though its effectiveness is lower. A debridement can be expected to work in 90% of patients with a return to limited weight-bearing possible in most after 2 weeks if using a post-operative boot. Full weight bearing is usually possible after 5 weeks and after a period of functional rehabilitation a return to full activity is the norm.